A side view of the bucket. 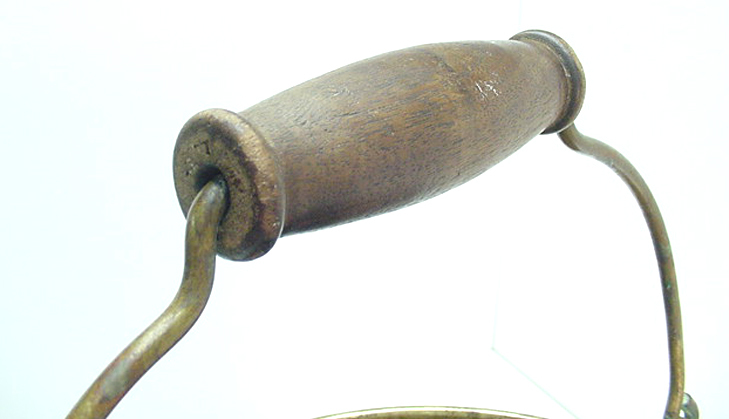 Note the side hand grip which is identical to the ones used on oil transfer cans. 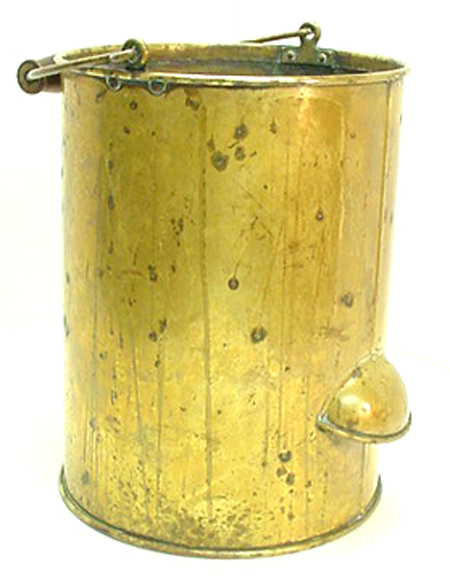 This bucket or pail would have been used for the obvious, but even more important for such duties as fire protection. The 1902 "Instructions to Keepers" notes that at light stations, "Every precaution must be taken against fire. Fire buckets, when provided, must be kept filled with water and ready for use in a fixed place." On light vessels, the instructions noted "Fire buckets must be kept on deck in the most convenient place for use and when the temperature will permit, filled with water at sunset of every day. They are, on no account, to be kept between decks at night." Other buckets or pails that have been galvanized were also used at light stations. Sometimes these were grouped in three's and filled with sand. The three buckets would have been mounted together in a wooden stand also painted red. The buckets could be painted red and in white block letters was the word FIRE. These were probably used later on in the lighthouse service and the brass buckets used early on. Until an old photograph can be found showing someone using this type of bucket we can not be absolutely sure if this is the same type of bucket mentioned in the Instructions. If anyone has any more information about the use of this type of container please contact us. 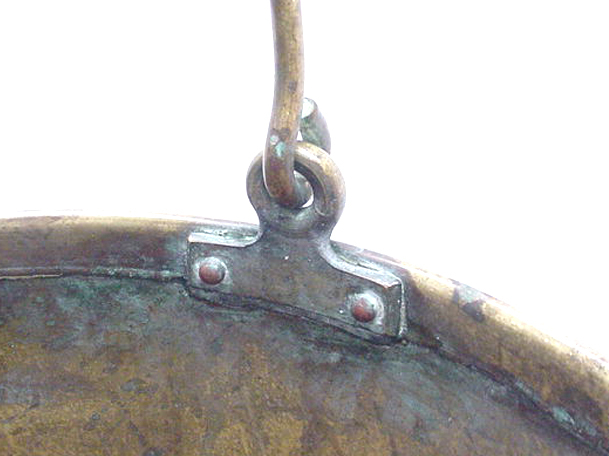 The outside view of the one below of how the lifting bail is hooked to the bucket. 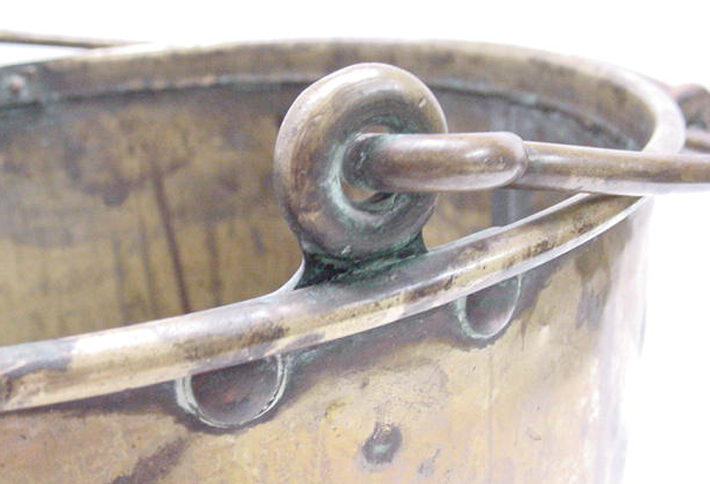 The large wooden handle makes gripping and carrying the bucket much easier under a full load. Shown here is the construction of the bucket and the way the lifting bail is attached to the rim of the bucket.